The Veteran Gaffer Entered Familiar Waters as he Dove into the Latest Unbreakable Installment, Glass When Chief Lighting Technician Ryan Lynch was asked to come back for the follow up to 2017’s Split, he jumped at the opportunity and was thrilled to reunite with Director M. Night Shyamalan and DP Mike Gioulakis. Being his second rodeo into the Unbreakable universe, Lynch was excited to tackle new challenges and jump through the hurdles Glass presented. .
It’s amazing what can happen in a year and keeping up with the continuous improvements and new products for film and broadcast can be difficult when juggling filming commitments and life in genera. However, IBC 2018 is the perfect exhibition to help you getup to speed with all the latest equipment and get hands on with a variety of products. Once again, LCA will . Director of Photography, Benedict Spence is the proud owner of the LiteTile and LiteMats, both of which were key fixtures when lighting comedy series, GameFace. Wanting to do the series and writer justice, Benedict describes how he used the LiteGear products to reflect the witty and tender emotions that resonates throughout this sitcom about navigating your thirties when you’re under-prepared. “Andrew Chaplin and I shot the pilot for GameFace in 2013 but it . 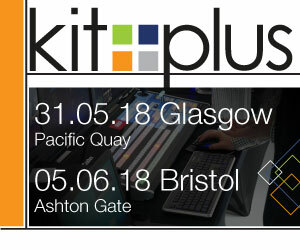 The KitPlus Show is now in it’s 8th Year with continued growth in Manchester in the heart of MediaCityUK. 2017 saw their return to Ashton Gate Stadium in Bristol with it’s newly refurbished exhibition venue where many new visitors were welcomed. Now, in 2018, they are adding Glasgow back at The Glasgow Science Centre which will see the start of three 2018 shows on the 31st May, then heading south to . This open day event on Tuesday 16th May at London’s RiDa East Studios, sees renowned DoP, Adam Suschitzky demonstrating a wide range of LED lights in a studio setting with working scenarios. Each workshop is an hour long and is repeated throughout the day. Spaces are limited and therefore we recommend that you pre-register for one of his workshops. Register here Throughout the day from 11am-7pm, we will have a separate studio set up with . 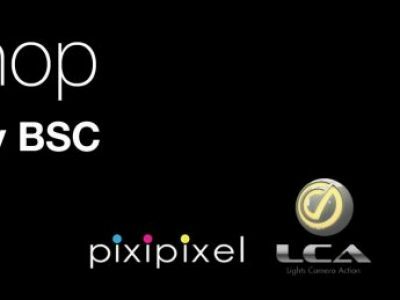 LCA – Lights, Camera, Action are delighted to be showing some of the latest innovative lighting products for film and TV on their stand at IBC in Hall 12. D39. Cineo Lighting will exhibit the new colour-tunable Cineo HSX at IBC 2016. HSX is a colour-tunable soft source with the same powerful, accurate light output as the Cineo HS2 Remote Phosphor fixture. Cineo has leveraged its years of experience in solid-state lighting and material sciences . Building on the success of the original LiteMat, with its thin ultra lightweight housing, soft and colour-correct Hybrid (bi-color) output, and convenient mounting options, the S2 LiteMat takes things to the next level. 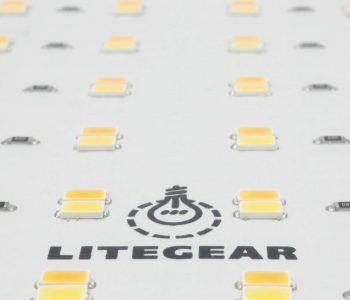 “By far the number one request from existing LiteMat users was a widened Kelvin temperature range and increased brightness,” said Al DeMayo, President and Chief Executive Officer for LiteGear. “We’ve achieved both of those objectives with the new S2 along with . Last week saw the latest CABSAT show held at Dubai Media City- the largest broadcast exhibition in the Middle East. 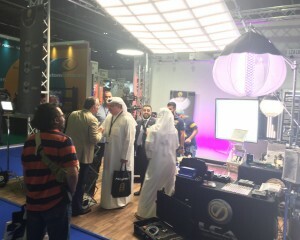 Exhibiting of the first time at the show, LCA joined a number of other companies in the UK pavilion to promote their products to the Arabian film, TV and broadcast market. LCA were inundated with visitors wanting to take a look at some of the latest in lighting including the new MapLite and LiteMat 8 . This years BVE at ExCeL saw numbers of videographers, DoP’s and lighting professionals through the doors, who all came to have a plug and play with some of the latest equipment available. 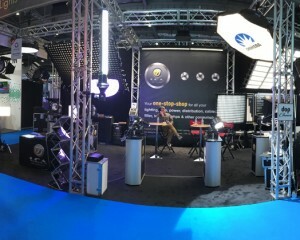 The LCA stand was full of such goodies including the new Matrix 5 colour module, K5600 Alpha 800, MapLite from LiteGear as well as their EFX dimmers. 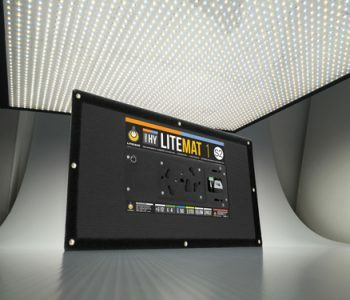 There was also huge interest in the LiteMat range from LiteGear along with the Cineo Matchbox, .